Sometimes it’s a good idea to get out of your comfort zone and just say yes. 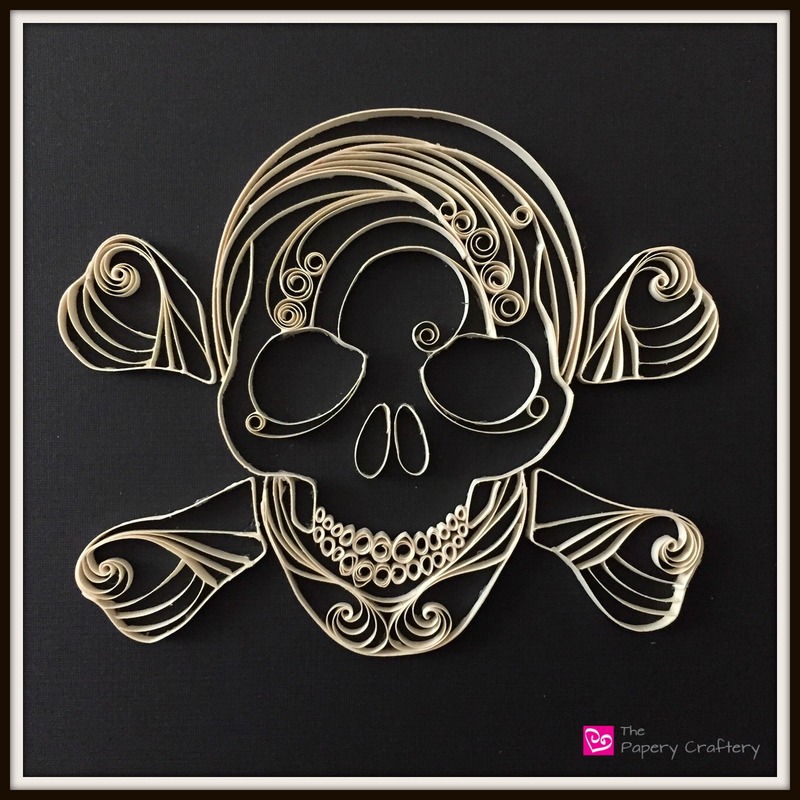 I was recently contacted by a friend who asked me if I would be able to create a custom skull and crossbones quilling paper piece. Yikes! Anyone who knows my work, knows me for quilled cupcakes and puppies. 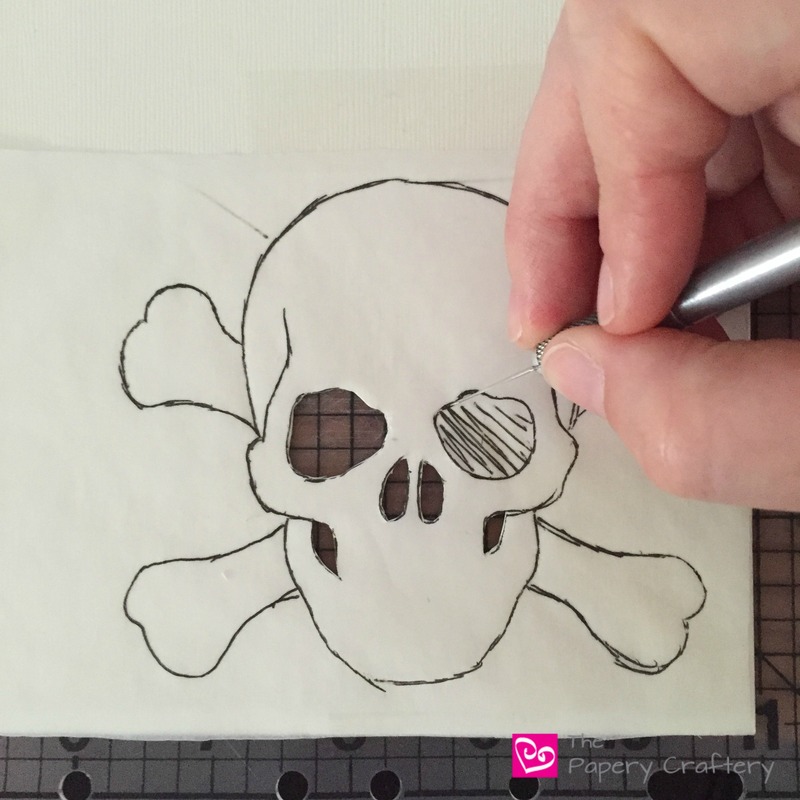 Quilling a Jolly Roger was totally foreign to me! Honestly, my first thoughts went to a negative place. All I could think was “no, I’ve never done anything like that before” and “I have so many other commitments already, I just don’t have the time!”. I put my big girl/business owner/brave crafter pants on, and just said yes. Yes, I can. After getting a little more info from my friend about what she had in mind, I did a some research and made my sketch. Thankfully, she approved that and it was on. I got to work. I relaxed and began to trust myself. 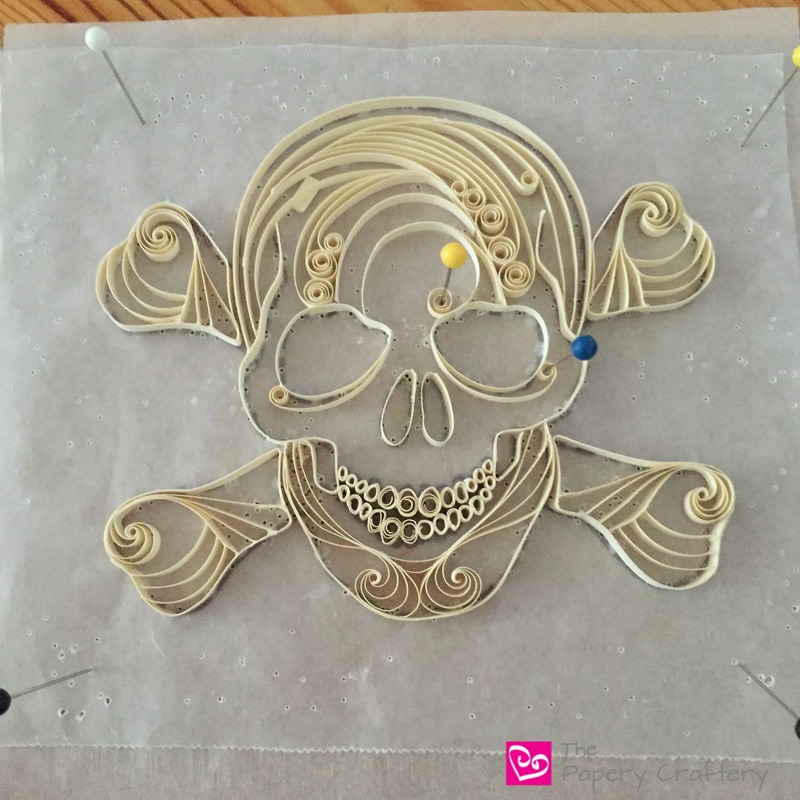 I felt pretty confident about quilling the bones. I had an idea about those from the start. So that’s where I began. And wouldn’t you know it, after I got started, the quilling paper practically rolled itself. It all happened so quickly that I didn’t get a chance to take any photos of my work in progress! The only thing left was to decide if the skull would get mounted on ivory paper first, or go directly on the black backing board. I shot these back to my friend for her decision and I’m glad I didn’t have to decide! I was totally on the fence. 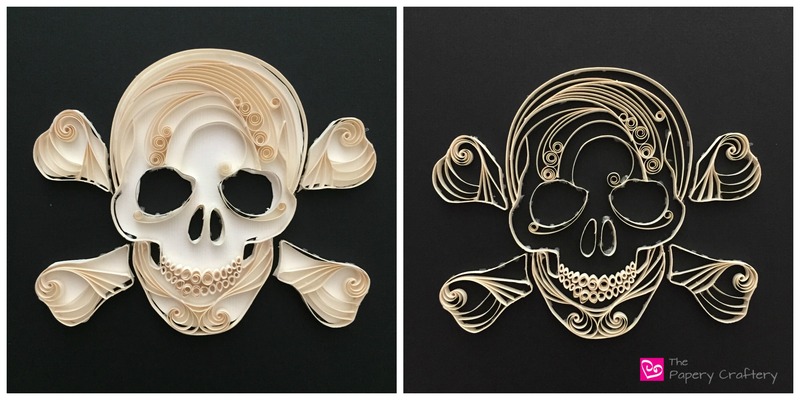 On one hand, the ivory paper looked more bone-like, but, without it, the quilling seemed to pop. Luckily, she was able to make a choice and it was no ivory paper for the win! I cleaned it up and mounted the finished quilling to the matboard backing. And, whew! Finished! Everything turned out great! My friend was happy and I was thrilled! And I was reminded how much fun custom orders are! They inspire me, push me, and motivate me to keep going. Although it’s important to know your limits so you don’t disappoint your customer later, sometimes it is all about saying yes! Plus, as a creative, you never know where the next custom order, no matter how intimidating, might lead.